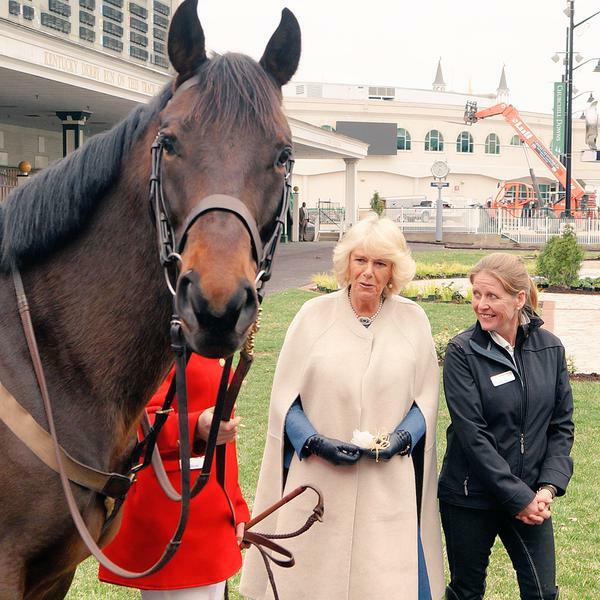 The MMSC was honored to be invited to meet HRH Camilla Duchess of Cornwall last week on her visit to Churchill Downs. 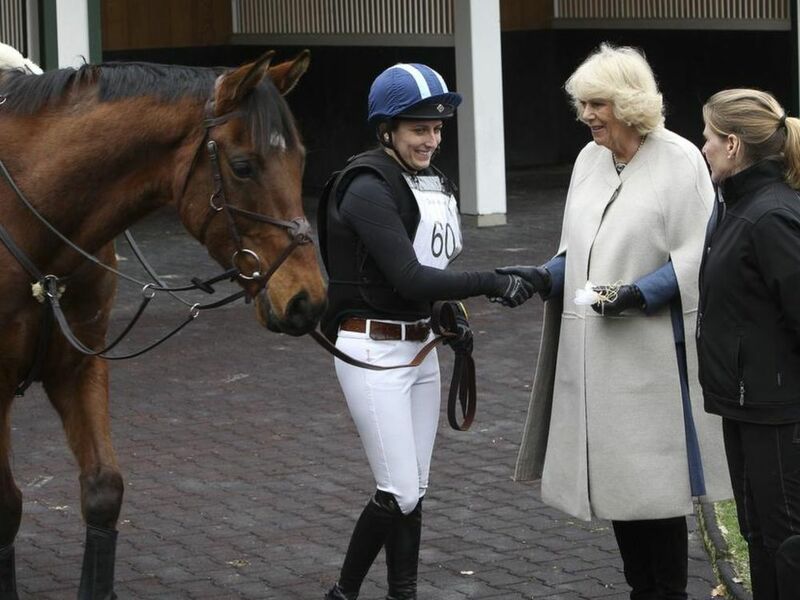 The Duchess was visiting the famous racetrack in order to raise awareness for the international charity The Brooke and to help launch the newest chapter of the organization, Brooke USA. Brooke USA has an office at the MMSC, and as our missions are closely related - The Brooke helping work animals in third world countries and the MMSC helping Thoroughbreds that are the work horses of America and that provide jobs to so many individuals - it seemed only natural to take our horses for a presentation to the Duchess. 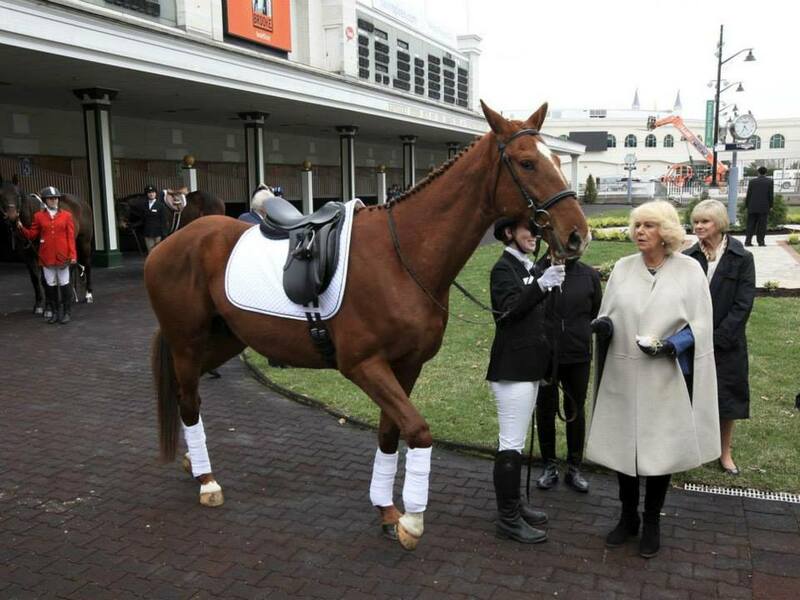 So the MMSC staff, interns, volunteers, and 4 OTTBs hit the road for Louisville. 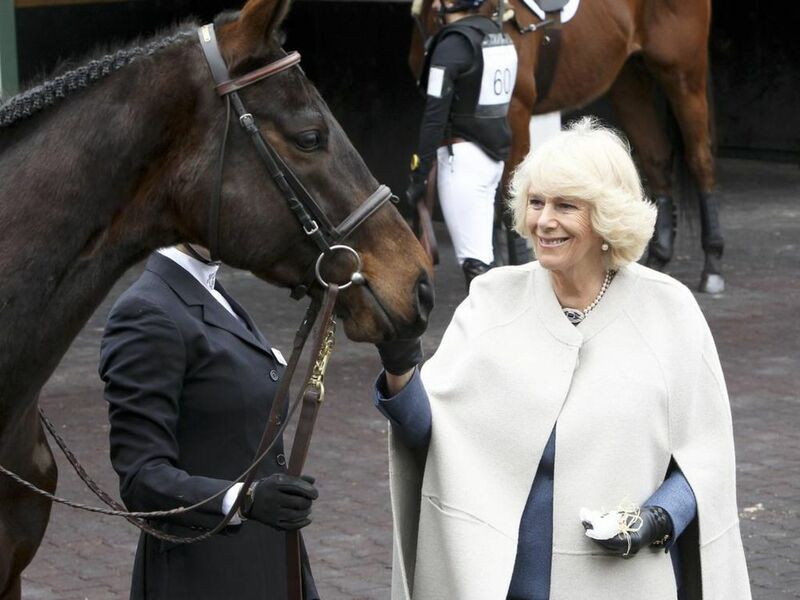 The horses were fantastic and everyone was thrilled to have a once-in-a-lifetime brush with royalty! Our thanks to Brooke USA for such a wonderful experience!